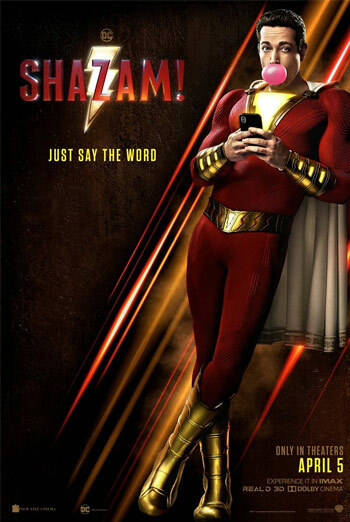 Buy your tickets to SHAZAM! to unlock your promo code for a FREE Digital Comic Book. *One-time redemption code requires FREE Amazon or comiXology account. App is available for download on your iOS or Android device and use is subject to additional terms and conditions. Select locations only. One digital code per online transaction. Offer available March 14, 2019 to April 21, 2019 for qualifying purchases at landmarkcinemas.com. Offer code valid at DCComics.com for (1) FREE SUPERMAN/SHAZAM! – FIRST THUNDER Digital Comic Book. Offer not available for tickets purchased on the ATOM App or in-theatre. Additional charges and restrictions may apply. Program conditions subject to change and/or cancellation without notice pursuant to studio terms and conditions. The trademark that appear are the property of their respective trademark owners. While supplies last. Codes are valid until December 31, 2019.